ABC's Nannies in Brooklyn NY provide families with the upmost care for their children and sincerely wish to become like members of the family. Katherine truly thrives while working in a childcare environment; she is one of the best Nannies in Brooklyn NY! "I am patient, responsible, trustworthy, caring and fun! If I was asked to describe in one sentence the reason I have chosen to be in the Nanny profession over any other it would have to be because I realized that this was my true calling. I am much happier working for one family than working in a school setting. I have been serving in some form of childcare for over 7 years and can honestly say I love what I do! 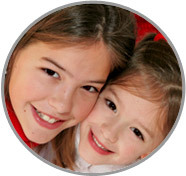 My goal working amongst the Nannies in Brooklyn NY is to provide a reliable, fun, safe experience for the children. I use common sense and educational knowledge when I am working. My main goal is to keep the children and the parents happy, and go above and beyond what’s expected of me! I am willing to do housekeeping that includes laundry, dishes, cooking and vacuuming, plus any other light housework. If I had to describe myself in five adjectives I would say that I am patient, trustworthy, responsible, caring, and fun! Activities that I would like to incorporate in the daily plan for the family I care for would include (depending on the age of the children) taking trips to the zoo, the movies, ice skating and dance classes. For a family with babies the daily plan was incorporating age appropriate play and learning along with taking walks, playing at the park and going to the pool over the summer." "It was very helpful to have Katherine around. She is a very organized person and at times took it upon herself to organize the pantry and the children’s clothing. She always made sure that her home life stayed at home and always had a pleasant disposition around the children. I highly recommend her as one of the best Nannies in Brooklyn, NY." "I have known Katie since the day she was born as I have been a friend of the family for over 30 years. In times when we have visited her family, Katie spent time with my son Joey who will be two years old, she was very helpful when I needed advice or assistance, and she is very intuitive. She has a way with children which is very calming and has given my wife and I suggestions from time to time which have proven to be invaluable. 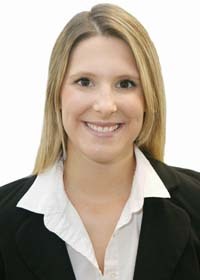 I believe Katie would be an ideal candidate for this position, I would not hesitate to recommend her." "Kate is one of the Sunday school teachers in our children’s department. She has been faithful to do her job since she started and has worked well with the children. It is evident that the children are truly fond of spending time with her, she is very hands on, and plays games and participates in activities with the children, rather than just sitting aside. I think if she is given clear guidelines she could make a good child care provider with the Nannies in Brooklyn NY." "Kate is a thoughtful and dependable young woman, who, as the oldest of five children, has helped take care of her siblings for years. I have seen her interact with young children, including my own, and she relates and communicates well with them. She is also trustworthy and would be able to handle a crisis, if one were to occur. Kate would be a valuable part of any family and I highly recommend her."